2016 SEASON:This season seems to be going in the blink of an eye with only 4 rounds to go before finals. Our club has gone from strength to strength this year and all our teams are doing really well on the field. We currently have 273 registered players in the club. DONT FORGET TO GET OUT ‘LIONS’ TEAM APP- to keep up to date on all club information. PHOTO DAY – THIS SUNDAY 24th JULY:EPGP Lions have partnered with the team at CLICK InFocus this season for our team & individual photos. All team & individual photos will be taken this Sunday at home. QUALITY CLUB:EPGP is the first junior Club in Western Sydney to be award the status of “AFL Quality Club”. This is a great achievement for our club and is a credit to all the players, family and volunteers. Based on the results of the assessment by AFL our club has achieved the standards required to classified as a Quality Club. EPGP LIONS 1st GOLF DAY:we are very excited to have our first golf day this year to raise money for our new scoreboard at Dukes Oval. It will be held at Penrith Golf Course on Friday 26th August at 7:15 for breakfast. Sponsorship packages start from $850 and all include 18 holes of golf for 4 players, cart hire, breakfast & lunch. Teams of 4 can be booked for $440. For more information and booking please click on here: https://epgplionsjafc.teamapp.com/articles/787637-2016-epgp-golf-day bookings are essential and filling fast so get in quick........ see you on the course. FINALS FOOTBALL: all of our teams are looking good for finals, good luck in your last 4 rounds. 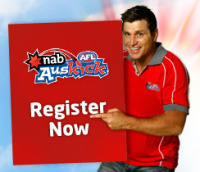 With finals football fast approaching please make sure with your coach you qualify for finals. All players are required to play a minimum of 4 games in the team to qualify for finals. CANTEEN: thank you to everyone that has been helping in the canteen this year. 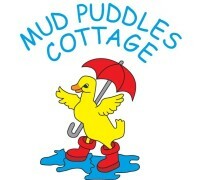 This is our best source of income and helps pay for the umpires and ST Johns first aid every week. Just a reminder that every team is required to staff the canteen & BBQ one hour before your game starts and ½ an hour after your game finishes. We need 2 people on the BBQ and 2 people in the canteen. Please help your managers an volunteer to help when you can it really does help the club and we appreciate the help. THANK YOU!! 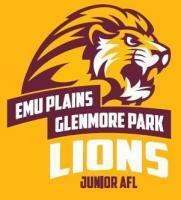 Keep checking our Team App, Facebook page and website, www.lionsafl.com.au for more information and important dates for our 2016 season. See you at Dukes........... GO LIONS!!! !